Unions recently took part in a consultation process by World Rugby on the existing Laws of the Game and the sanctions table. 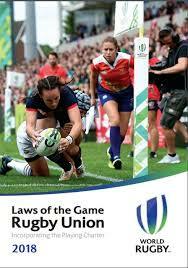 The RFU contributed to the consultation and a decision has been made by the World Rugby Council that the new, simplified Laws of the Game and revised sanction tables will come into force globally as of 1 January 2018. Download the New Law book Here!